Living... in Litchfield Penitentiary in upstate New York after shooting an abortion clinic worker and gaining a rabid conservative fan base in the process. Profession... religious leader, whose preaching doesn’t cover peace and love as much as how God will smite Litchfield’s sinners in the afterlife. She believes it is her duty to speak the word of God and hang a giant cross in the prison chapel…at least until the ceiling collapses from the weight of the cross. Interests… spreading the word of the Lord. Though when it’s filtered through Pennsatucky, it’s more of a mean, racist, angry stream of words. After she claims she’s a faith healer, she gains a solid following – a group she hopes to grow both inside and outside the prison walls. Relationship Status... single. It’s tough to find a relationship in an all-female prison when you’re a devoted opponent of homosexuality. Challenge... keeping her mouth shout. 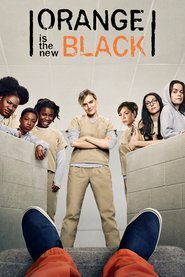 After her latest homophobic rants, she mades a pair of enemies in Piper and Alex, two inmates who used to be in a relationship. She locks Alex in a drier, and Alex’s retaliation is so bad, it sends Pennsatucky to the psych ward. Personality... arrogant, judgmental, and a bit crazy. In defending herself, Pennsatucky says, “I’m not crazy. I’m chosen.” She’s incredibly confident that she speaks the word of Jesus Christ, and anyone who opposes her is destined for Hell. Though does she do this because she wants to go to Heaven, or just to gain power and devoted followers while she’s here on Earth? Tiffany Doggett's popularity ranking on CharacTour is #407 out of 5,000+ characters. See our top-ranked characters and read their profiles.